How do I implement the test for the loudspeakers I produce? 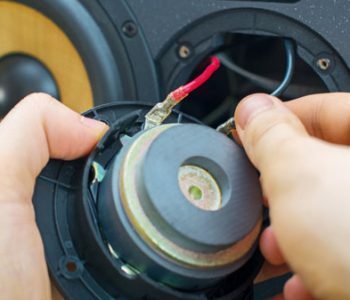 This is the second of two articles addressing the question of how to test the quality of loudspeakers. Read the first article here. My recently-published article in the LIS2017 magazine inspired me to write about this in my blog. In this second part, we get more into the implementation. Before you start, it is vital that the measurement devices used in the test system are calibrated. This ensures accuracy. Typical examples of devices requiring calibration in a loudspeaker end-of-line tester are the audio analyzer, and the measurement microphone. 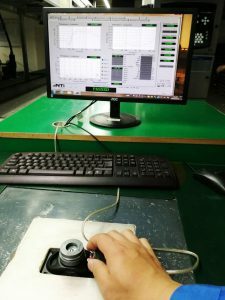 In calibrating a measurement device, the measurement results of the device are compared against a highly-accurate reference of that result, and if necessary corrected. Device calibrations are usually performed annually by the device manufacturer. These are standards-traceable calibrations under ISO or other quality systems. The sensitivity of a microphone can be calibrated by the system operator by using a microphone calibrator. This process can therefore be executed as part of the system calibration. Compensating for the electrical frequency response of said amplifier, thereby ensuring that the test voltage is set over the whole tested frequency band. Calibration of the microphone sensitivity with a microphone calibrator. Consideration of microphone to DUT distance (when calibrated for a certain sound pressure level). 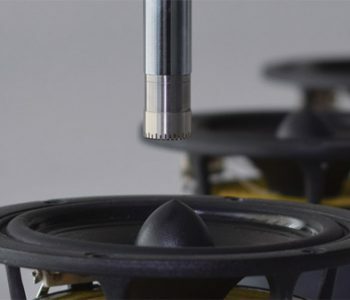 Some parts of an acoustic device end-of-line test system are vulnerable to wear and tear, and therefore should be checked or renewed periodically. The following three components are most likely that need to be changed and you therefore should keep an eye on their condition while testing. The electrical contacts that connect the DUT to the test system often shows wear from friction, resulting in increased resistance or total loss of connection. The measurement microphone membrane can be contaminated by dust and dirt, especially when it is facing upwards. This can cause changes in microphone frequency response and sensitivity. An easy prevention is to use a dust cap and exchange this periodically. The mechanic rest on which the DUT is positioned and fixed for the test is usually made of a soft material, such as foam or cork. Sometimes, also an arrester system is in use. Because they are mechanically stressed at the very same position during every unloading/loading process, those parts are in danger of wear from friction or even deformation. This can result into changes of acoustic and electrical measurement results. To guarantee high availability, it is advisable to be prepared for disasters. 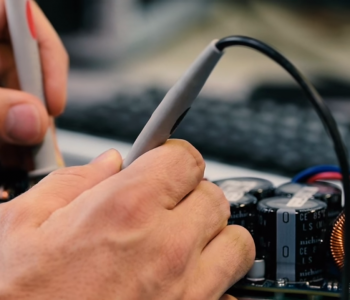 Obviously, it is a good idea to have spare parts of all elements of a test system, especially for the ones that have a high risk of being worn out or damaged. But also, there should be documented procedures on any configuration steps that need to be taken in case of an exchange. For example, when exchanging the microphone, the sensitivity of the new microphone must be configured in the test system. This minimizes the system downtime. To be prepared for an IT disaster such as a PC or hard disk failure, I recommend a regular backup of system and project setting. This task can be handled by a test system software automatically. Again, a documented procedure on how to restore the data helps to setup a new system quickly and efficiently, thus reducing downtime. Use amplifiers integrated into the test instrument with fixed gain. If an external amplifier is inevitable, use a model with fixed gain or protected volume wheels. Protect on/off switches against accidental operation (e.g. rack with door). The DUT must be loaded in the test jig in a clear and unambiguous way. Both the positioning and the contact process should provide haptic feedback to the operator. In the case where the operator is required to trigger the measurement, the trigger button should be conveniently located next to the test jig, so that it can be pushed immediately after the DUT has been loaded. 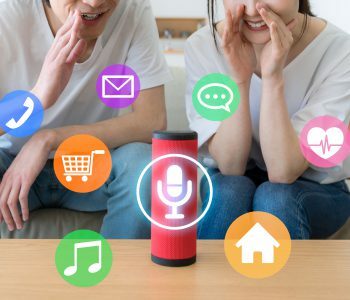 Alternatively, the test system can constantly scan the contacts and start the measurement automatically once a connected loudspeaker is detected. The end of the measurement must be clearly displayed to the operator so that he or she can unload it immediately. When highly optimized, the next device in line can already be loaded into a second baffle, alternating with the first one that is currently being tested. This increases the throughput of the test system. Naturally, environmental influences to an end-of-line test shall be avoided in the first place. However, in reality this is not always possible. Therefore, it is important to be aware of the consequences those influences can have, as well as have ways to deal with them. Temperature affects mostly the electrical parameters of an acoustic device. For a loudspeaker, this is especially the resonance frequency and its dependents. Variations of temperature can be caused by ambient temperature, but also by manufacturing processes that heat up the DUT and are executed shortly before the end-of-line test. For the latter case, before testing it is advisable to allow a cooling phase long enough to bring the DUT to ambient temperature. It is advisable to log environmental data such as temperature, humidity and air pressure along with the measurement data. Manufacturing noise obviously influences the acoustic measurements. This applies for air-borne as well as structure-borne noise. While some measurements are less susceptible to noise (e.g. frequency response), the most critical measurement is Rub & Buzz of loudspeakers. There are noise cancellation methods available in loudspeaker end-of-line test systems. However, this should be the last line of defense only, because they deal only with impulsive noise and they increase test time. The majority of noise should ideally be physically shielded by the test jig. This is especially applicable for all constant background noise. (E.g. manufacturing noise / machinery) Such a shielding reduces the noise floor inside the test jig allowing you to measure Rub & Buzz effects that would otherwise be undetectable. All impulsive noise that only occurs infrequently can be handled by the noise cancellation algorithms of the end-of-line test system. Electromagnetic influences are best handled by keeping audio cables short, and using balanced audio (XLR cables). This is especially important for cables with low level and high impedance (e.g. microphone cables). Running a worthwhile and reliable EOL quality control for acoustic devices is by no means trivial. It requires considerations from several angles and involves multidisciplinary skills. Reproducible, reliable results can only be achieved with a combination of reliable test instruments operating within an environment that either remains constant or is managed properly. How do I test the quality of the loudspeakers I produce? What do LAeq and LAFmax mean?